Logitech C922 Pro Stream webcam: is it worth the money? Although plenty of us get by with laptop webcams and the front-facing cameras on our smartphones, dedicated webcams still have their place. A huge place in fact, if you were to go looking for a webcam, you would be inundated with dozens of different models – with a mass majority of them being made by Logitech. Among this sea of webcams, the C922 Pro Stream even ranks as the best webcam in our opinion. So, if you just wanted to make sure the C922 Pro Stream was good, then you can rest assured that it has a big thumbs up from us. It offers 1080p recording at 30 frames per second and 720p recording at up to 60fps. That’s decent, but in the era of 4K and high frame rates, some may not quite be satisfied. Dual-microphones for stereo audio are a perk, as it’s a feature not found on all devices. Plus, the stand Logitech uses for webcam is handy, and able to sit on desk or mount onto most monitors. Add in good low-light correction, the ability to remove the background from video and replace it, and a bundled 3-month license for XSplit Premium, and you’ve got a solid web cam at a reasonable price. Logitech advertises the C922 Pro Stream webcam at $99, but we’ve been able to find it for as low as $79 during Black Friday. 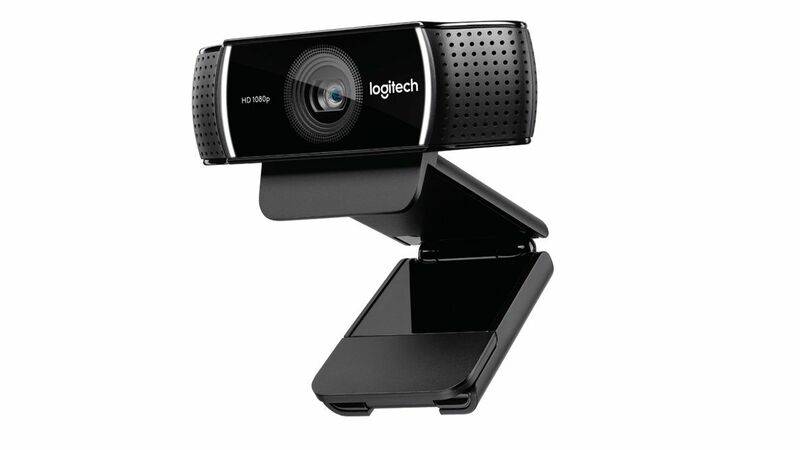 If the Logitech C922 Pro Stream checks all the boxes of what you need from a webcam, then by all means, go for it. It’s a solid contender that can do a good job in a wide variety of applications, whether that’s Skype calls with family, business video conferences, or game streaming. But, if you find yourself wanting more and have some budget room or you don’t need all of the features and want to save some money, there are other options that may be more worthwhile. If you’re not trying to go for any fancy game streaming with high frame rate video or background replacements, you can get the more affordable Logitech C925-e, which is otherwise fairly similar to the C922 Pro Stream. One handy feature that comes with this webcam that the C922 lacks is a sliding privacy shade, so you can keep the webcam plugged in while knowing that any digital intruders won’t be seeing anything. Microsoft’s LifeCam Studio is a simpler but more affordable webcam that drops the exciting features for a straightforward offering. It just uses a single mic, and it doesn’t support 60fps recording, but it will give you Full HD resolution at a lower price. If that’s all you’re after, this will do. Of course, there are some cameras that are a lot more exciting as well. They’ll cost a bit more and have higher system requirements to get the full performance, though. Creative’s Senz3D is a hair more expensive than the C922 Pro Stream, thanks to a price drop, but it’s every bit as good a webcam. It supports 1080p at 30fps and 720p at 60fps, plus it can handle background removal, and it uses dual mics for stereo audio. However, the Senz3D’s advanced depth sensors also support facial recognition for Windows Hello, as well as hand and joint tracking for some advanced 3D applications, opening the door for some exciting avatar possibilities. For a simply better video experience, Logitech’s Brio webcam takes the C922 Pro Stream’s specs and dials them up. It can handle 4K HDR video with a wide 90-degree field of view, or you’re able to bump down to 1080p at 60fps. Switching resolutions also gives you different field of view options and the ability to digitally zoom and pan. The catch: this webcam is a fair bit more expensive than the C922. Given the reduced price of the Creative Senz3D, we’re inclined to go for that over the C922 Pro Stream even though the former is still a little more pricey. But, if you know you’ll never use Windows Hello or other depth-sensing features and still want 1080p/30 and 720p/60, then the C922 is still a fine choice.